Our passion to compete with ourselves always for the best and most complete service for you, our valued customers, and respecting the work you have done, has prompted us to take a step forward for better functioning of our product management. 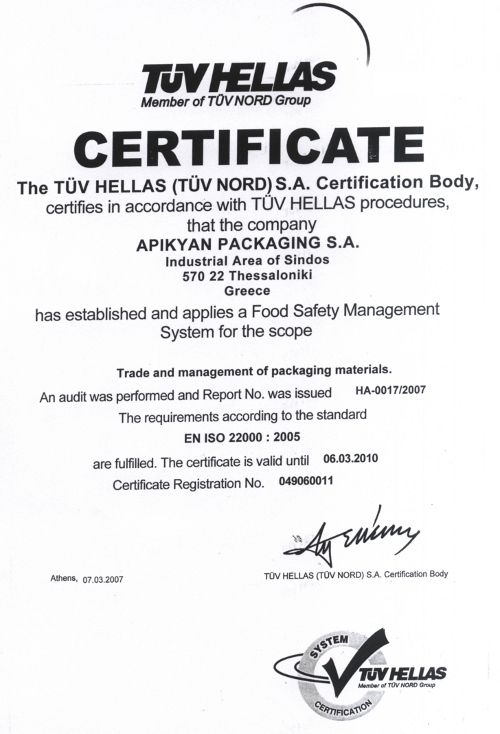 So recently we have been certified with the ISO 22000 FOOD SAFETY MANAGEMENT SYSTEM by TÜV HELLAS. Apikyan Packaging SA is the first & only company in its sector in Greece, certified by ISO 22000.